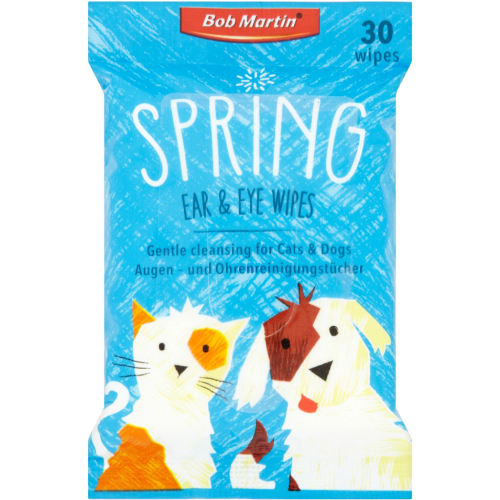 Bob Martin Ear & Eye Wipes contain a mild cleansing lotion that has been specially formulated for cleaning around the eyes and removing accumulations of wax and debris in your pet's ears. Ideal for use on both dogs and cats. There are currently no questions for Bob Martin Ear and Eye Wipes - be the first to ask one!